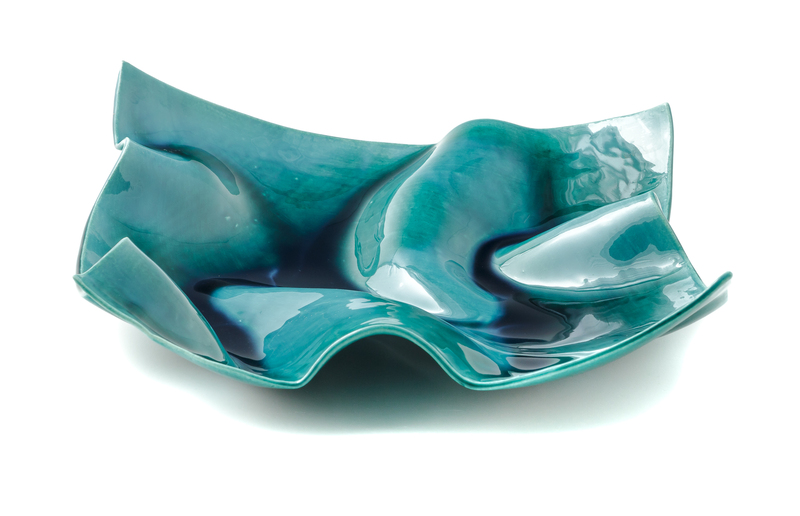 The fine lines of this ceramic plate depict crystal-clear water pools in which the vibrant green and turquoise effects evoke natural waterways. The plastic shape of the glazed hand-crafted and decorated ceramic vase is the synthesis of the processing of a single clay layer, that the potter shapes and bends, obtaining a sophisticated contrast between the plastic movement and the solid ceramic material used to craft it. Sheets of clay as thin as eggshells form the organic shapes of this fine glazed ceramic white centrepiece that bears the prized inscription engraved with a slanting and deliberate, almost illegible trait. 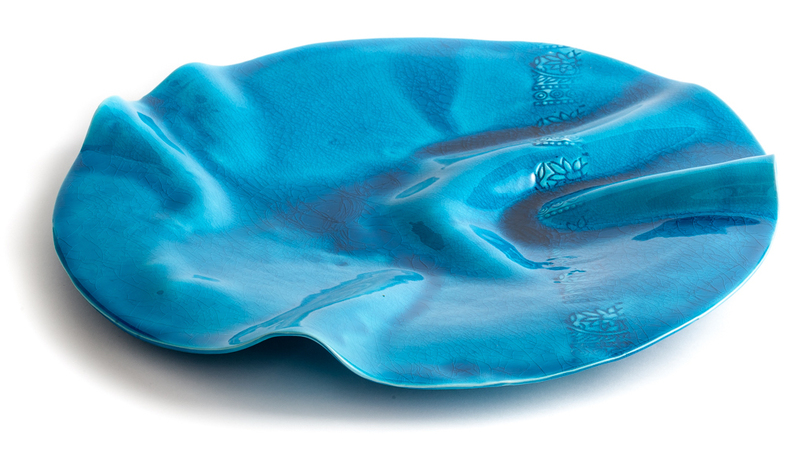 Glazed ceramic platter, hand-crafted and decorated in a plastic game of folds and colourful residues, recalling the charm of water, emphasized by the used of vibrated turquiose paint. 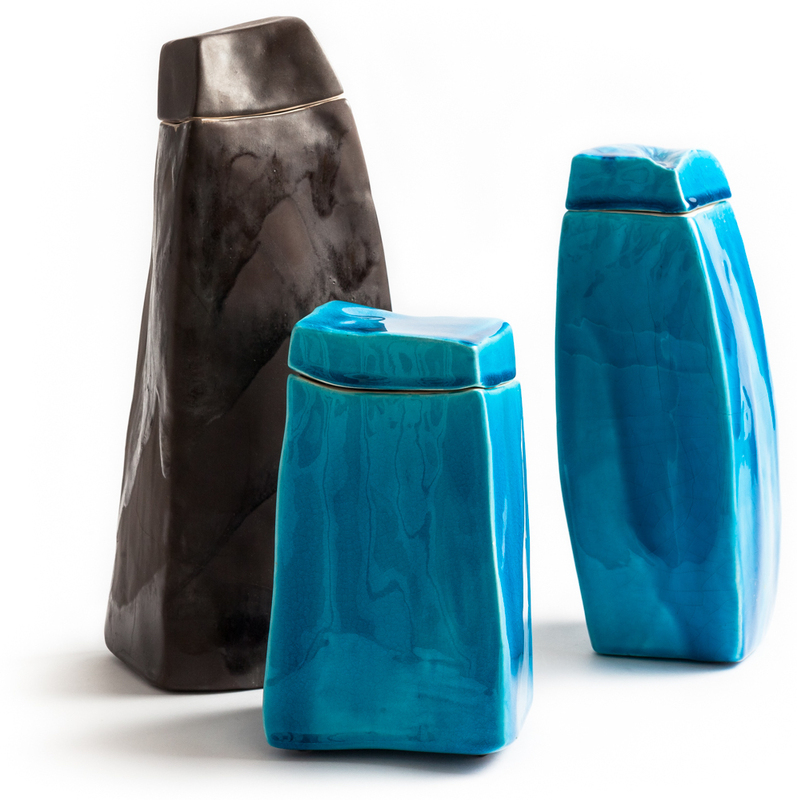 These sculture glazed turquoise and charcoal boxes, hand-crafted and shaped, are inspired by the monolithic architectures of Sardinia landscapes. Available in different forms and sizes, they may be combined in customized groups, with sophisticated scenographic effects. 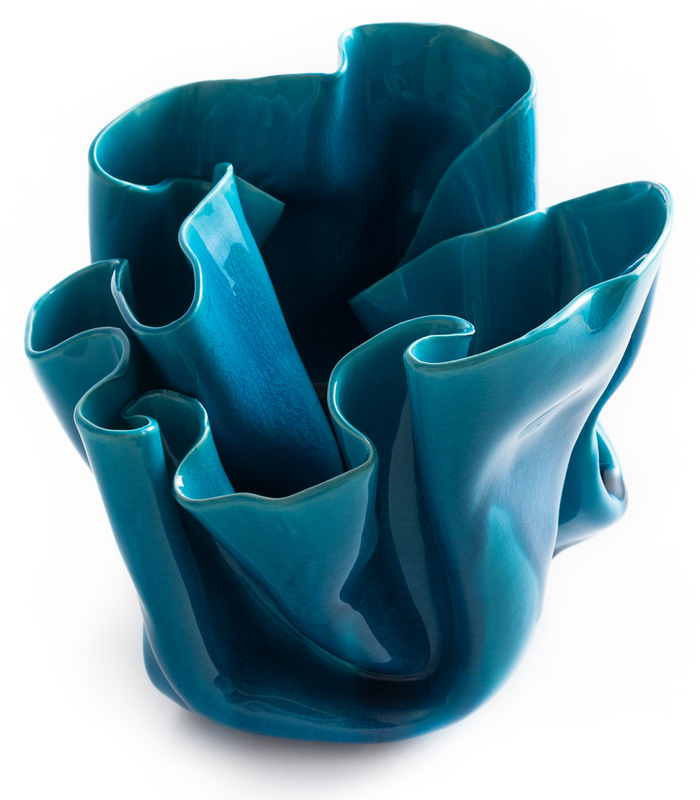 Dominant turquoise and minimal forms characterize Rosaura Sanna's style, who uses traditional means to express her creative nature as a ceramic artist. Trained at the Accademia di Belle Arti in sculpture, she conceives the artifact as a balanced project of function and the creative gesture. She rolls clay with a rolling pin and decorates her creations with moulds, just like women used to do with bread dough. Using clay sheets, she cuts out geometric shapes. She then moves, bends, crumples them and, finally bakes them into vibrant shapes, into objects of daily use imbued with an unusual touch. She exhibits her creations, made in her studio in Nuoro, in the main local handicrafts shops and trade shows and other sector events in Sardinia, Europe and overseas. Her production includes various furnishings and tableware. The artifacts created with irregular shapes and solid contrasting colours, are characterized by original aesthetic solutions and balanced lines, always different from one another. By underscoring the typical appearance of traditional artefacts, the craftsman creates coordinated objects, which are still different from each other, with different shapes to create original ceramic food containers. 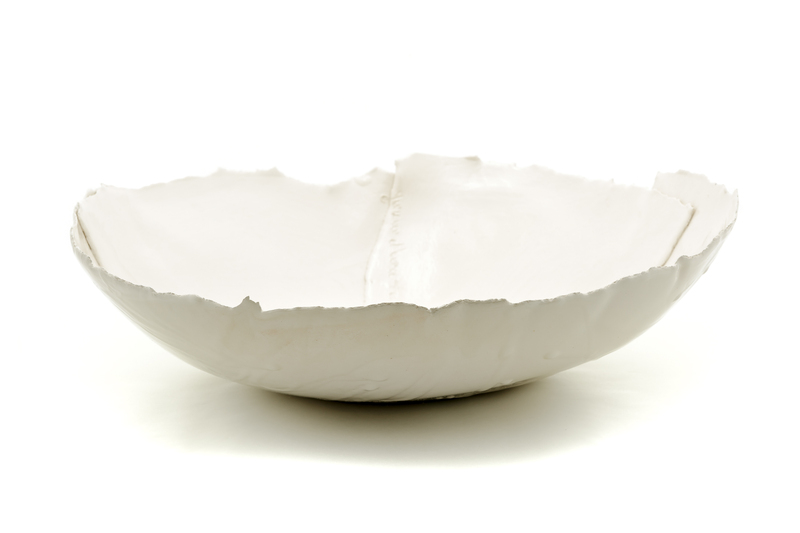 The potter mostly uses white clay, rolled into plates and then shaped manually. She impresses decorations by means of moulds, and covers ceramic surfaces with craclè coloured glazes. She mostly uses solid turquoise, combining objects of this colour and others featuring brown, moss green, burgundy and white surfaces.